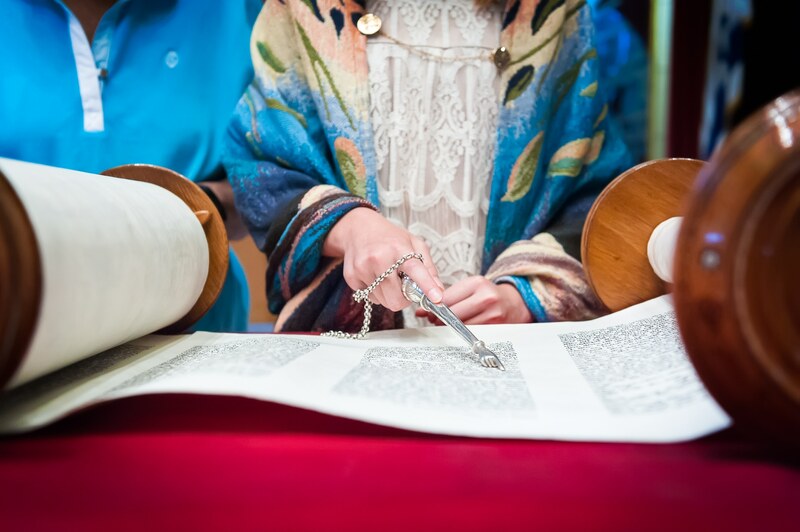 Most synagogues only allow photography during the Bar or Bat mitzvah rehearsal. As such, it’s important to communicate to any family members attending the rehearsal that they will want to look their best and dress accordingly. During this time, anticipate a mix of candid photos and family formals. Remember to add in some spontaneity between the serious moments. Sprinkling in hugs and family humor can lighten the formality of the setting. Bar and Bat Mitzvah’s can have fast-paced schedules. Sometimes, events may even overlap. An understanding of the types of events will better prepare your photographer. From dancing, performances, contests and games, you will want your photographer to understand the tentative schedule in order to ensure coverage. This list is as much for you as your photographer. It will help you remember key items and accessories to bring to the rehearsal. It will also clue in your photographer on what details deserve extra coverage. In addition to the yad and the tallit, there may be other family heirlooms to incorporate. Be sure to share the overall color scheme. Describe anything special about the celebration and food that took time and effort to coordinate. Coordinate with your photographer on the must-have list of family groupings and portraits. Also, think of special guests of honor or relatives from out of town for your list. Consider outdoor photographs to take advantage of the beautiful synagogue grounds and landscaping. This will add a different vibe to your poses and offer more variety for your album. Will your DJ use special lights? Will you have fireworks? Anything outside of the norm that you can share with your photographer will be helpful. Your photographer may want to bring special gear to capture the moments happening in the different types of lighting. A little bit of pre-planing helps ensure the best results for your Bar or Bat Mitzvah photography. Yes, the time will unfold quickly, but your photographer’s images will capture the story. Each photograph adds to the chapter’s stories, showing the love and connection of family and friends. Finally, be sure to talk with your photographer about printed and/or electronic photo options! There’s photo books, trendy magazines, albums, video slide shows, photo jewelry and many other ways to commemorate the day. These make great gifts and remembrances to share with everyone. For additional photos, visit the Bat Mitzvah Gallery.